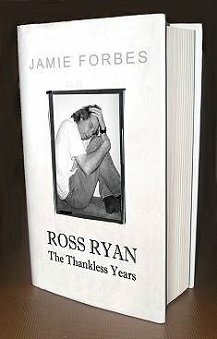 As part of our "One Person Queue" first anniversary celebrations, Coathanger is proud to present an exclusive excerpt from the yet to be published Ross Ryan biography "The Thankless Years". In this chapter, author Jamie Forbes reviews both the 1PQ album and its Melbourne launch. television and film. 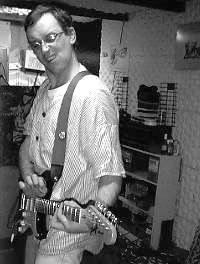 As well as being an accomplished songwriter, journalist and cartoonist, he is apparently tall, amusing and handsome (in that order). Well known as the author of the best selling book "Australian Comedy .. 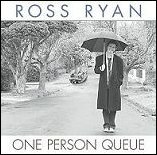 I Don't Get It", his second volume on Ross Ryan -- "Rooted In The Seventies" -- will be finished as soon as Ryan does something else worth writing about.